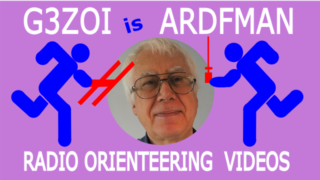 What is ARDF sport or radio orienteering ? click here to jump to the ‘about’ page. Links to keep updated with the latest RSGB ARDF news and events. There is a well-established forum for discussing ARDF, follow the link below to sign up and participate. click here. To subscribe to the mailing list for news and event notifications, please email ardf(dot)chairman(at)rsgb.org.uk and request the permissions form. News and Photos. click here. Follow @ARDF_UK for news and event notifications. click here. Compared to other Interest groups ARDF is not very well represented, so these are my first vlogging efforts. Hopefully the content makes up for the lack of my presentation skills ! Click on the image to open my YouTube Channel. Some other videos below, that might be of general interest. An overview of radio-orienteering using the 2m band. nb. The format of the activity is the same for both 2m or 80m events, but the direction finding techniques are slightly different. See how serious international and competitive radio orienteering events work. I am not a commercial supplier of kits or general components. I may be able to help with hard-to-get components, but please check before you start your project. I generally only supply components and parts on a non-commercial basis, for the benefit of individual ARDF enthusiasts. I will endeavor to correspond via email if you need help with any of the projects described on this web site. You may contact G3ZOI by using the comments section available on most of the web pages or by direct email using the address below. This web-site was updated using WordPress. The link here will take you back to the original web site, where older and unsupported projects can be found.